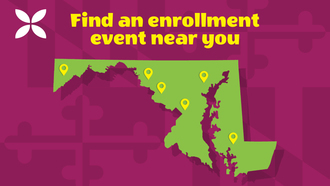 Enroll in health coverage at an event near you next week! We're hosting free enrollment events near you next weekend to help you sign up for 2019 health or dental coverage. Attending? Great! Please bring these items with you. REMINDER: Open enrollment is for private health and dental plans. If you're currently enrolled in Medicaid/MCHP, you don't need to take any action right now unless you've received a notice telling you to renew. Go Mobile! Download our free Enroll MHC mobile app to shop, update your information, view notices, and upload verification documents using your camera.